Where: Chapter House, Durham Cathedral 5.30 p.m.
Where: St Andrew's Church, Langford SG18 9 QE 7.00 p.m.
What: The battle between Shrovetide and Lent - Music, words and song for Shrovetide and Lent from 16th and 17th Century Britain. What: ‘Friendship through Music’ - featuring composers from ten European countries, includes favourites as well as lesser known pieces and spans the centuries from the Renaissance to the present day. Ticket/Info: £15 (£5 for under 18s) and are available online from www.ceciliaconsort.org.uk, or by calling 07775 743445. Ticket/Info: £12 / under-16s free, on the door or via Eventbrite (search Pinsuti St. John). Where: St Mark’s Church, Alma Road, Reigate RH2 0DA 7.00 p.m.
What: Haydn - Nelson Mass; Williamson - Procession of Palms; and other choral music. Where: St Mary the Virgin, Church Road, Ketton, PE9 3RD 7.30 p.m.
Where: All Saints' Church, Market Place, Kingston, KT1 1JP 7.30 p.m.
Where: The Parish Church of St Mary-the-Virgin, Elsworthy Road, London NW3 3DJ 6.00 p.m.
What:ï¿½ We Will Remember Them.ï¿½New oratorio by Roger Shelmerdine commemorating the WW1 Armistice Centenary. What: A programme exploring Tomas Luis de Victoria’s time in Rome in the late 16th century. Marvellous madrigals and sublime sacred works by Arcadelt, Di Lasso, De Victoria, Marenzio, De Monte, Palestrina and Anerio. Ticket/Info: £15, concessions £10, available online from www.orlandochoir.org.uk/tickets or on the door. Ticket/Info: £15 (nave, unreserved), £7 (restricted view, mainly in side-aisles), £5 (children and students in full-time education). What: Cherubini - Requiem, Haydn - Little Organ Mass, Gounod - Ave Maria, Mozart- Laudate Dominum. Ticket/info: Ticketsource.co.uk/SNS; phone: 0208 933 7908; £12 in advance £14 on the door. Where: St Mary’s Church, Cheshunt 3.00 p.m.
Where: St John the Evangelist, 109A Iffley Road, Oxford OX4 1EH 7.30 p.m.
What: "Stabat Mater", an evening of reflective music focussing on the Crucifixion, seen through the eyes of Our Lady. Readings will intersperse the polyphony and chant sung by the Choir, which will include works by Victoria, Lotti, Bruckner and Tallis, culminating in Palestrina's majestic 8-part setting of the Stabat Mater. What: Music of the Masters ? Great Choruses from Great Oratorios: HCS and guest soloists will perform a selection of choruses from some of the best loved oratorios by Beethoven, Handel, Haydn, Mendelssohn, Mozart, Parry and Stainer. Where: St Alfege Church, Greenwich 7.30 p.m.
Where: St Giles’ Church, Lamb Gardens, Lincoln LN2 4EH 7.30 p.m.
Where: St Gabriel´s Pimlico, Warwick Square London 7.00 p.m.
Where: Bolton Road Methodist Church, Bury BL8 1ED 7.30 p.m.
Where: The Sheldonian Theatre, Oxford 7.30 p.m.
Where: Kendal Parish Church 7.30 p.m.
Ticket/Info: &ound;12 (under-18s free) from Kendal Tourist Information, Finkle Street, Kendal, from chorus members, or at the door. Where: St Paul, Covent Garden (the Actors’ Church), Bedford Street, London WC2E 9ED 7.30 p.m.
Ticket/Info: £16.50, concessions (students with card) £12.50 available from: https://actorschurch.ticketsolve.com/shows/873598670 or at the door from 7.00 pm. Where: St. Alban's Church, The Ridgeway, Harrow, North Harrow HA2 7PF 7:30 p.m.
Where: Wellington College Chapel 7.30 p.m.
Where: St John´s Church, Church Lane, Loughton, Essex 7.30 p.m.
Where: St John´s Church, Crowthorne 7.30 p.m.
Where: St Andrew´s Church, Montpellier, Cheltenham GL50 1SP 7.30 p.m.
What: 500 Years of Music! From Tallis & Palestrina to Mascagni & Elgar, also Bach, Handel, and Mendelssohn. Where: Royal Hall Harrogate Ripon Rd, Harrogate HG1 2RD 7.30 p.m.
Where: Apex Theatre, Bury St Edmunds 7.30 p.m.
Where: South Hill Park Recital Room, Ringmead, Bracknell RG12 7PA 7.30 p.m.
Where: St Mary´s Church, West Derby Village, Liverpool L12 5HJ 7.30 p.m.
Where: All Saints, Clifton, Pembroke Road BS8 3ED 7.30 p.m.
What: Westron Wynde - music from England in the first half of the 16th century, including dance tunes and chansons from the court of Henry VIII as well as a new piece by Gregory Rose, based on the famous Western Wynde melody and especially commissioned for the event. Where:St Stephen Church, Bellavale Road, Liverpool L25 2PQ 7.30 p.m.
Where: Church of St Michael and All Angel, St Michael´s Avenue, Yeovil BA21 4LH 7.30 p.m.
Where: St Marys Centre, Chester 3.30 p.m.
Where: St Andrew´s Church, Blenheim Crescent, Luton, LU3 1HA 7.30 p.m.
Where: Dagnall Street Baptist Church, St Albans 7.30 p.m.
Where: St Clement´s Church, Church Road, Dartmouth TQ6 9SN 7.30 p.m.
What: Schubert - Mass in G; Mozart - Ave verum; and works by Purcell and Wesley. Ticket/Info: Tickets £12 (students £6) on the door. Where: Great Hall, University of Reading 7.30 p.m.
Where: St Speulchre´s, Holborn Viaduct, London EC1A 2DQ 7.30 p.m.
Where: St John´s & St Peter's Church, Ladywood ARC, Darnley Road, Birmingham, B16 8TF 7.30 p.m.
Where: Trinity College Chapel, Cambridge 7.30 p,m. Where: All Saints' Church, Leamington Spa CV31 1AA 7.30 p.m.
Where: St Mary-le-Tower Church, Ipswich 7.00 p.m.
Where: Cirencester Parish Church, Market Place, Cirencester GL7 2NX 7.30 p.m.
Ticket/Info: £20 or £8 for students / children. A combined ticket for all three Festival concerts costs £36 (students and children £18); these are available, along with tickets for the individual concerts, from cheltbachchoir.com/tickets or by calling 0333 666 3366 [fees apply]. Tickets for the St John Passion are also available from the Cirencester Visitor Information Centre at the Corinium Museum. 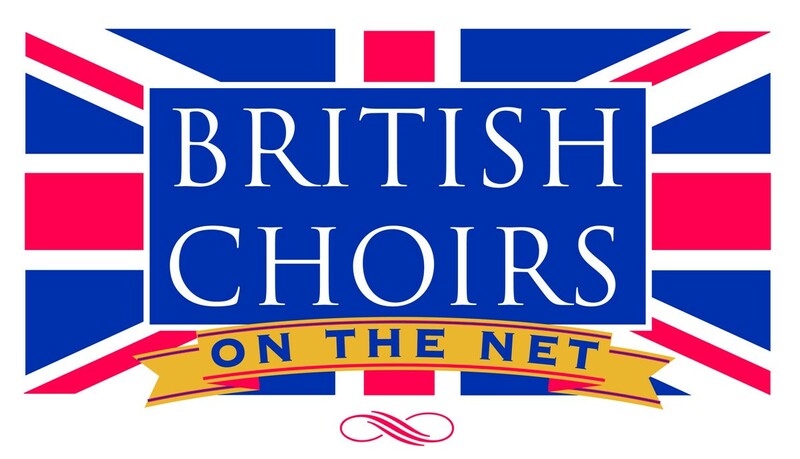 For more information on the various events please visit the Cheltenham Bach Choir’s website www.cheltbachchoir.com . Ticket/Info: £15, students/children free and are available from www.stowmarketchorale.org.uk or on door, or reserve a place on 07901 758009. Where: The Great Hall, Cornerstone Theatre, Liverpool Hope L6 1HP 7.30 p.m.
Where: St James’ and St Basil’s Church, Fenham, Newcastle NE4 9EJ 7.30 p.m.
Where: St John´s Church, Canon´s Hill, Old Coulsdon Surrey CR5 1HA 7.30 p.m.
Where: St Peter’s Church, Southfield Road, London W4 1BB 7.30 p.m.
Where: Church of St Luke and St Teresa in Wincanton 7.30pm. Where: St Martin's Church, Hale Gardens, West Acton, London W3 9SQ 7.30 p.m.
What: A selection of sacred pieces by Mozart and his rival, Salieri. Where: Cranleigh Arts Centre, 1 High Steet, Cranleigh GU6 8AS 7.30 p.m.